Just learned the Xtrons unit is shipping with the proper connectors so steering wheel controls and Nav wiring interface are not needed. It's plug and play. I had a ScanTool OBDLink LX Bluetooth reader installed in the van before I bought the Xtrons head unit and read real time data from my phone. 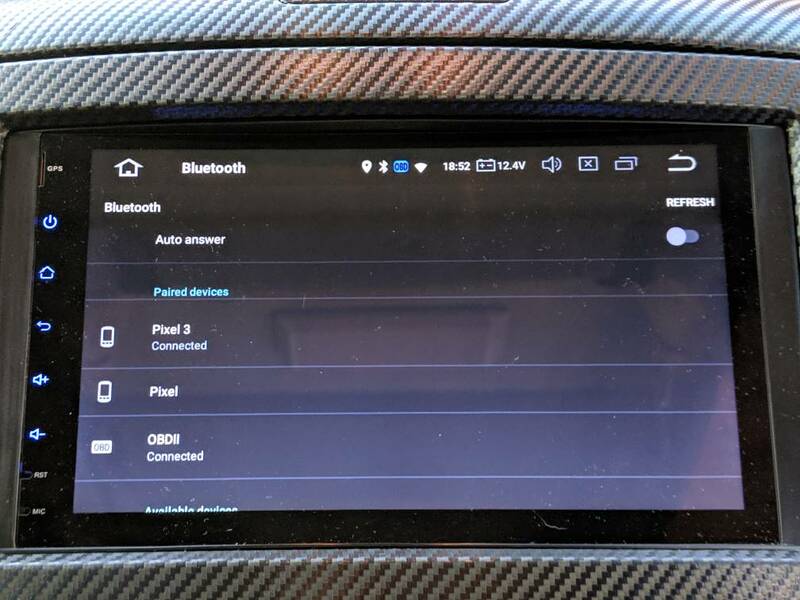 I tried connecting it via bluetooth to the Xtrons, but the head unit would not recognize a signal. I then purchased an Xtrons specific OBDII to see if that would work. The first one was DOA. Just received a replacement and everything works as it should. I can now run the Torque app directly on the head unit with real time engine data. Pretty cool. Very cool. I’ll have to see if I can use that for my pioneer NEX unit. OBDII blue tooth in for $13, its good but you can only ( that i know of ) have one bluetooth device connected at a time so pretty pointless, it does all a basic BT OBD reader does - just nifty to see on the head unit. I'll have to disagree. I can connect both. I guess the Xtrons OBDII gets a dedicated connection which might explain why the non-Xtrons didn't work. See photo. Last edited by JFloFoto; Today at 01:28 AM.